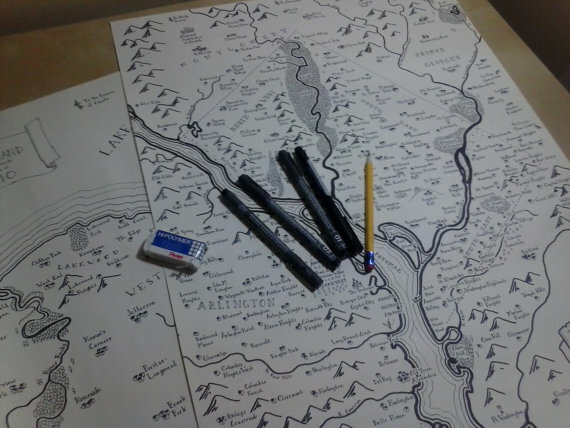 "Lifelong mapmaker" Stentor Danielson creates real "fantasy" maps that could have come straight from The Lord of the Rings. We probably don't have to explain just how important J.R.R. Tolkien was to fantasy literature. In fact, it's probably wouldn't be much of an exaggeration to say that nearly all of what we accept as being the standards of the genre derived from the man and his work. Case in point, go ahead and open up a random fantasy novel. 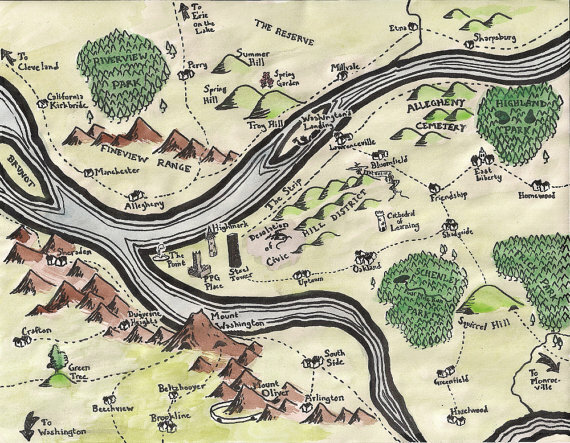 If at any point you're treated to the sight of a hand drawn map you can go ahead and thank Tolkien who also helped establish that as one of the things you do when you decide to write a story about magic, swords and folk with pointy ears. 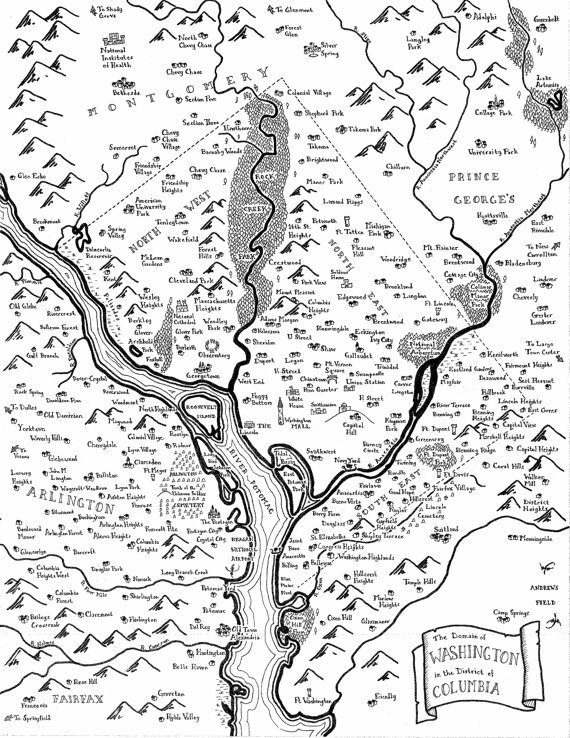 A "lifelong mapmaker," Danielson wasn't content to let the fantasy genre have all the fun and, in turn, created his own line of Tolkien-esque "fantasy maps" based on real-world locations. 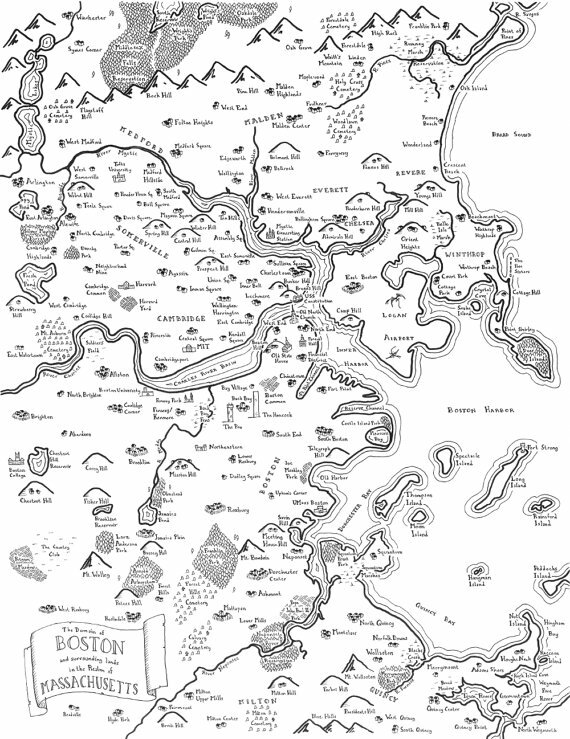 Included among the locations he's made maps for are Pittsburgh, Philadelphia, Washington, Cleveland and Boston. 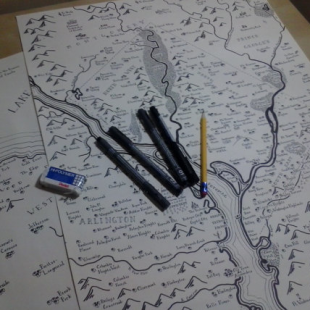 These existing maps can be purchased for a variety of prices ($10-23) based on their size and level of coloring. Danielson also takes commissions for maps based on custom locations, but these cost substantially more ($60-150) than their pre-made siblings. 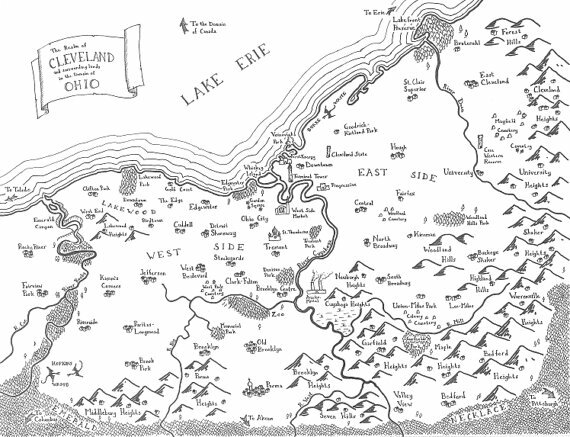 The maps themselves, according to Danielson, are born from his own deep love of fantasy and Tolkien. " I first read Lord of the Rings in 3rd grade," he said, speaking to The Escapist. 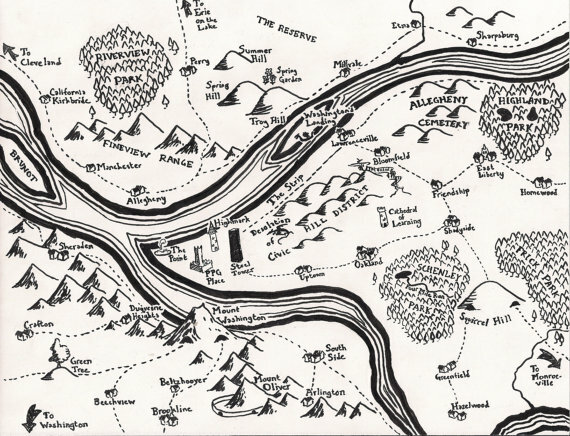 "I loved the maps in the front of the books, and that helped spark a general interest in maps." This interest led him to pursue a pHD in geography which he now uses to teach as a professor at Slippery Rock University. 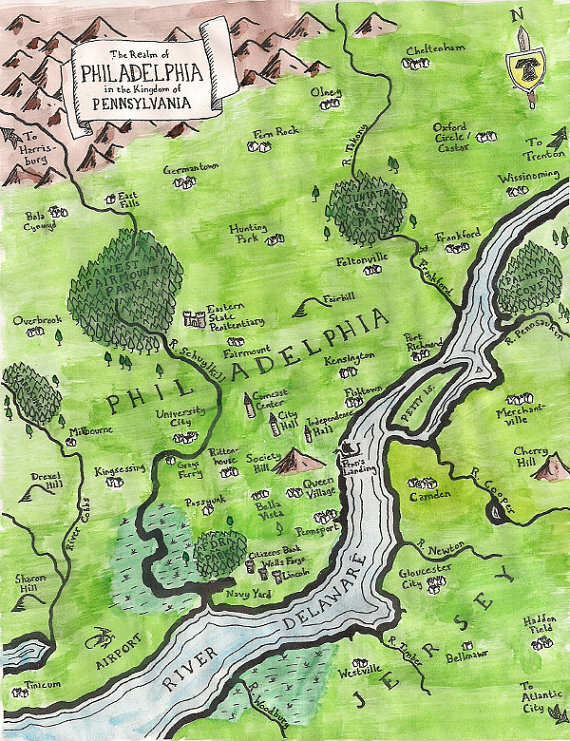 After creating his first map based on Pittsburgh, he put it up on Etsy hoping "to sell just a few." It almost immediately became a hit and inspired him to expand to do other cities and take custom requests. Just looking at his work, it's not hard to understand why people love them so much. Take a gander yourself and let us know what you think.